When Ellen DeGeneres told Liza Minnelli that she looked like a female impersonator at the Oscars, at least one person wasn't laughing: Minnelli herself. The singer/actress, who was at the ceremony to help celebrate her mother Judy Garland's classic "The Wizard Of Oz," admitted to TMZ that she thought DeGeneres' quip was poorly executed. "I think she thought it would be funny," Minnelli said. "But she never stopped after she said it and said, 'my friend Liza Minnelli,'" or otherwise acknowledged that the two are pals. "I think it went a little astray on her." 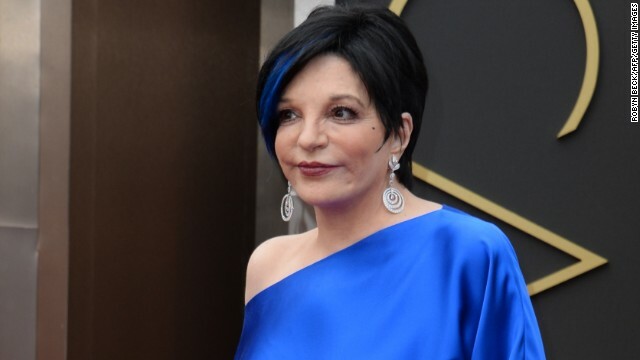 Given their friendship, DeGeneres may have felt comfortable ribbing the 67-year-old actress during her Oscars opening monologue, telling the audience that she'd spotted "one of the most amazing Liza Minnelli impersonators I have ever seen in my entire life ... Good job, sir." At the time, Minnelli shrugged it off with a smirk and a shrug, and on Monday she was no worse for the wear. "I don't think she meant any harm at all," Minnelli said of DeGeneres. "I think she's a wonderful lady, and I think she did great." Yet what did amuse Minnelli was the fact that she was pushed out of DeGeneres' record-breaking group selfie, thanks to other celebrities being so ready to join in. "It was funny," the "Cabaret" star said. "All of the men just pushed (me) out of the way, it made me laugh so hard." I thought I was the only one who had a problem with that little cupcake kid. I thought the video was messed up. He was a disrespectful brat who did not deserve to get what Ellen gave him. ughh. and I agree with the comment above...Liza does deserve more respect. She is talented and she does have a lot of fans. The ones making fun of her have no idea who she really is. They just don't know. I though it was in poor taste. Liza is an Oscar winner after all and the daughter of Oscar winning parents, she deserves a little more respect. She's also an EGOT, even beloved Meryl doesn't have that! I agree it was in poor taste and I liked Ellen till the Oscars but have less respect for her after her hosting the show. There were other things about Ellen that night that was in poor taste as well. I have just stopped watching Ellen since then. I understand she had a 3 year old on her show who likes cupcakes and the video of him being disrespectful to his mother was posted by his mother, and she gave the child even more cupcakes and $10,000. Now he's been shown by the world it's ok and we wonder what's wrong with the kids these days. If she were to stop giving away so much stuff on her show I think you would see her popularity drop in a hurry. Your comment sounds like one some sleazy comedian in a fourth-rate local bar would make. Liza looked very nice at the awards ceremony. Nicely dressed, nicely made up. Nothing at all like she had had plastic surgery–unlike some male stars in history–oh, say, Kenny Rogers and (if you're old enough) Roy Rogers. Wayne Newton, anyone? Billy Crystal? Plenty of men have made the mistake. Bruce Jenner is a classic of the grotesque results. Minnellil just look s like someone else who is 67, but she never was very attractive. Talk about a one hit wonder. She a gay icon and Generes is gay. She shoulda got the joke yo. She got the joke. She just didn't think it was properly executed. Kind of like your remark. Yo.